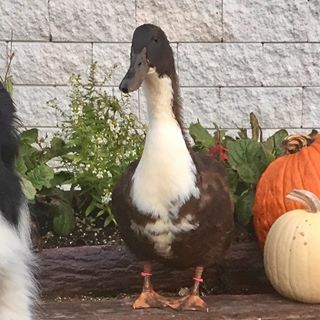 Pepperjack is a 1 ½ year old female Blue Swedish duck who lives inside as a house duck with her human, Lindsay. The day Pepperjack hatched, Lindsay discovered her egg just in the nick of time. 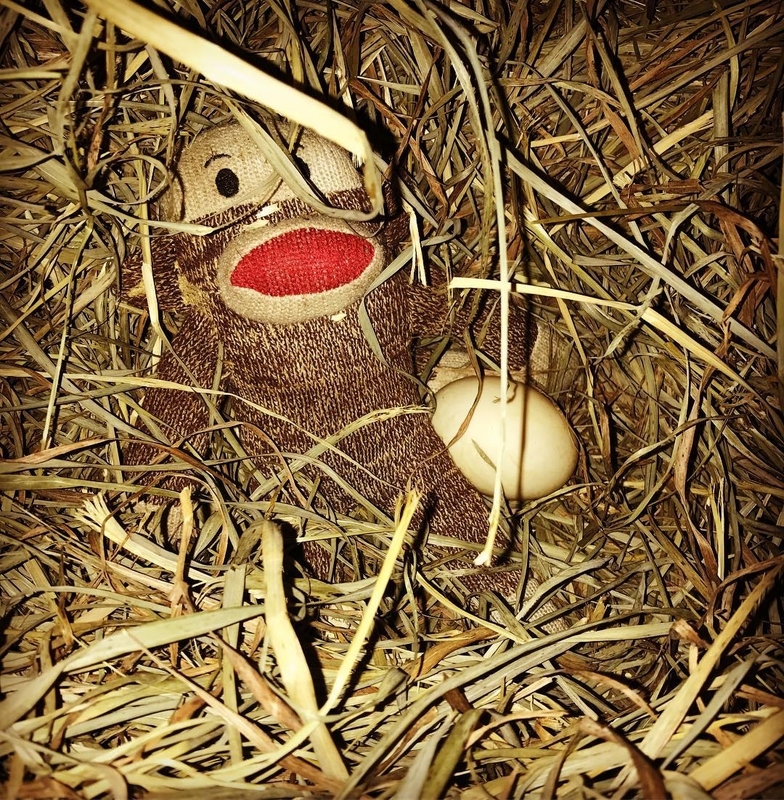 Muenster, Pepperjack’s mother, had been sitting on a clutch of eggs for 28 days, and they were right at the point where they were ready to hatch. Lindsay noticed that some of eggs were mysteriously disappearing. By the time it was discovered that Mama Muenster was sadly eating her own babies, there was only one egg left to hatch --- this was Pepperjack! 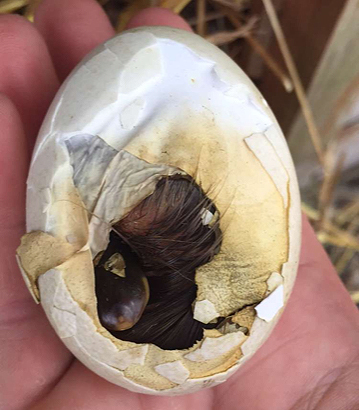 She hatched quickly - right in Lindsays’ hand. 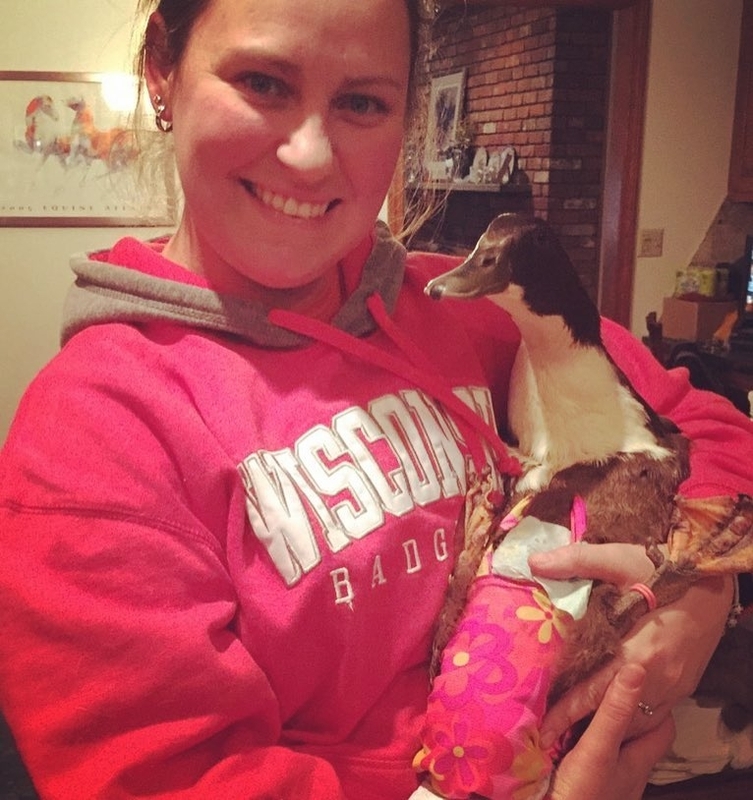 When Lindsay tried putting the duckling back with her mother, she quickly removed her when Muenster was trying to hurt her, too. 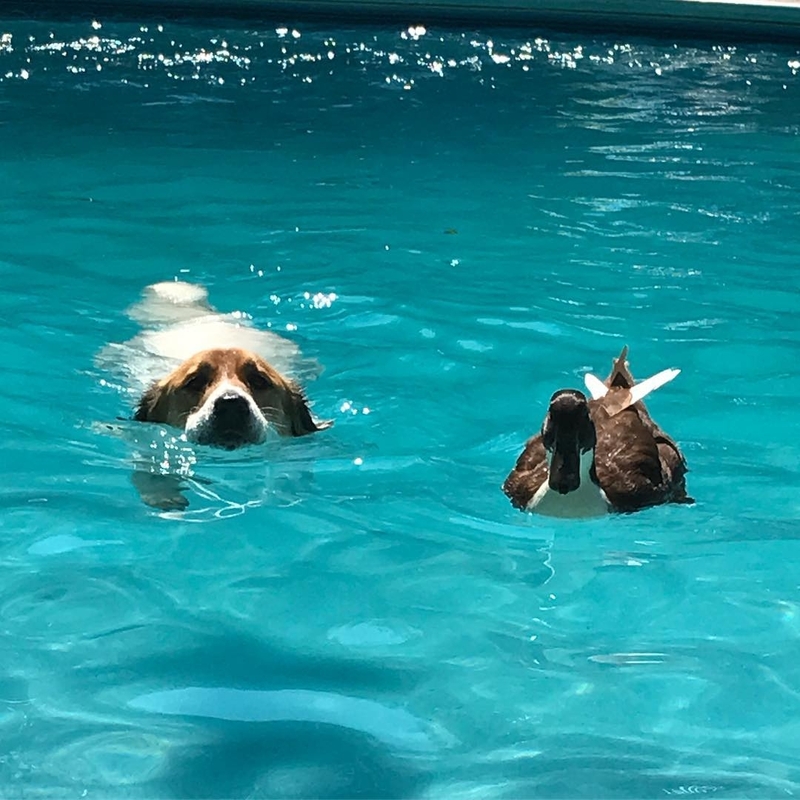 Lindsay decided the safest course of action would be for her to bring Pepperjack inside - and that is how she began the glorious life of a house duck. 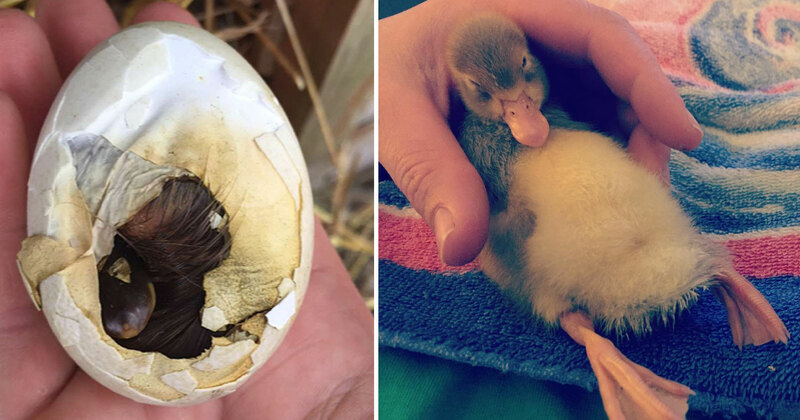 Pepperjack hatching (left photo) and as a baby duckling (right photo). 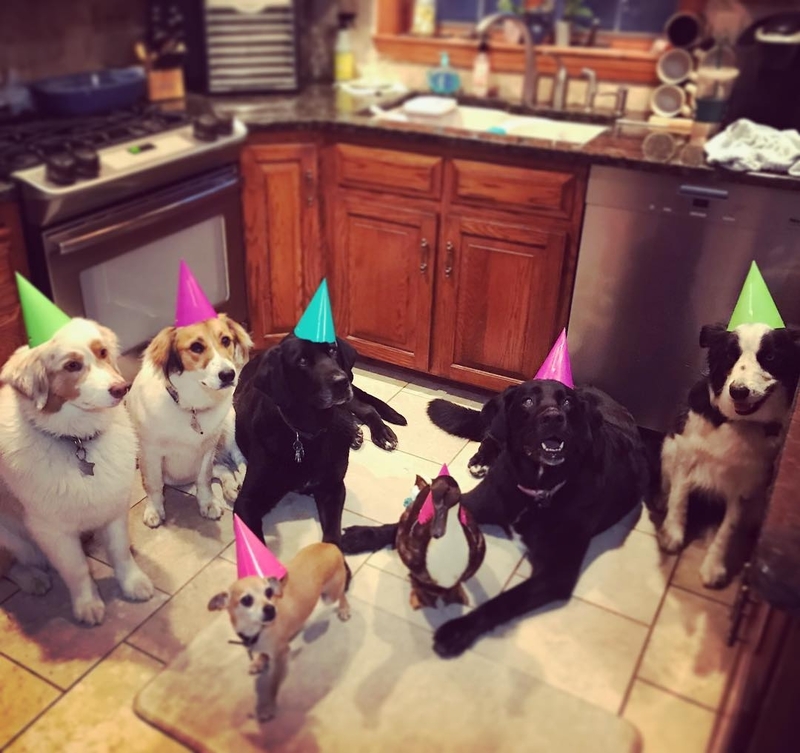 As Pepperjack grew she became good friends with the other indoor animals—which consists of six dogs and a plethora of black cats. 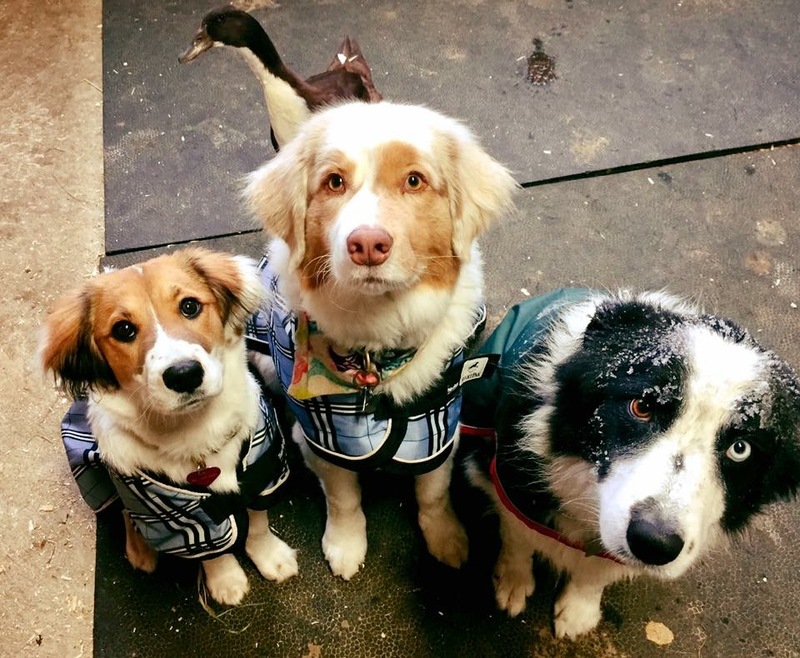 She became especially close with the Australian Shepherd named Polo and Nana, a smooth coated Collie puppy. 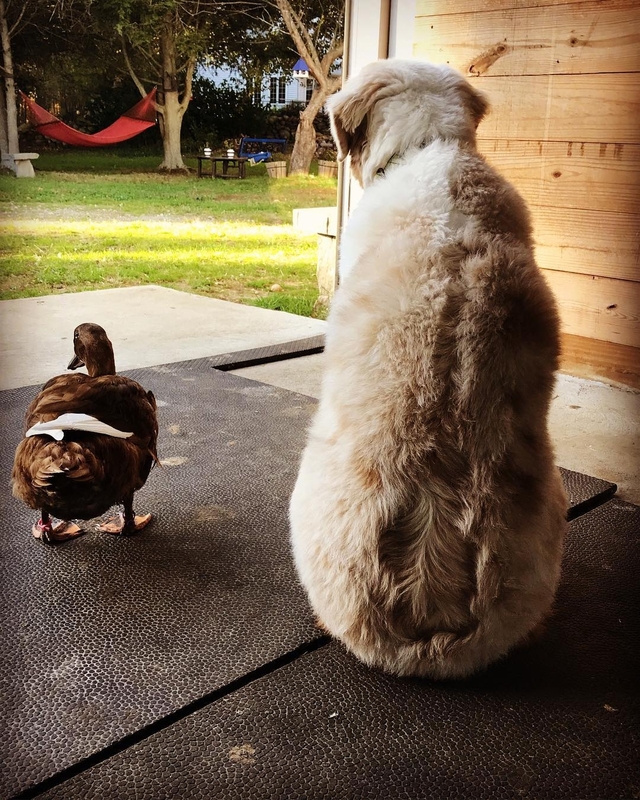 Funny enough, Pepperjack won’t associate with any of the ducks who live outside on the farm, not even Muenster, her birth mother. 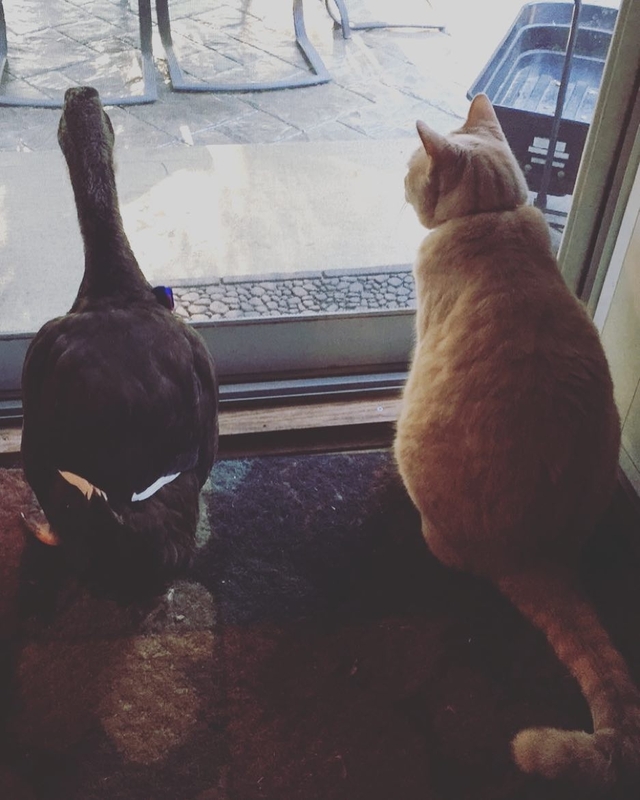 One of Pepperjack’s favorite activities is patrolling around the kitchen while the family is cooking - waiting for the occasional sliced tomato to fall to the ground. Pepperjack occasionally visits a local nursing home, where she is treated like a mini celebrity! 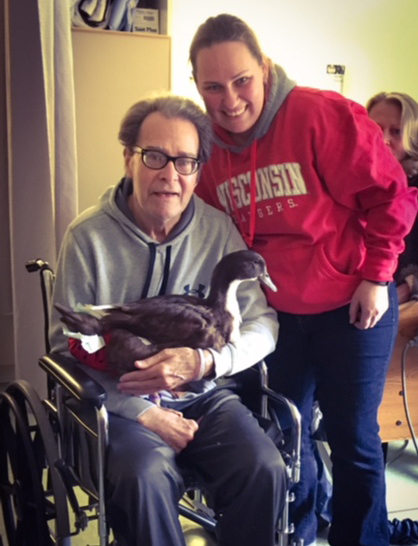 She’ll waddle the hallways in her sporty duck diaper, and meet and greet with the nursing home residents—who absolutely adore her! 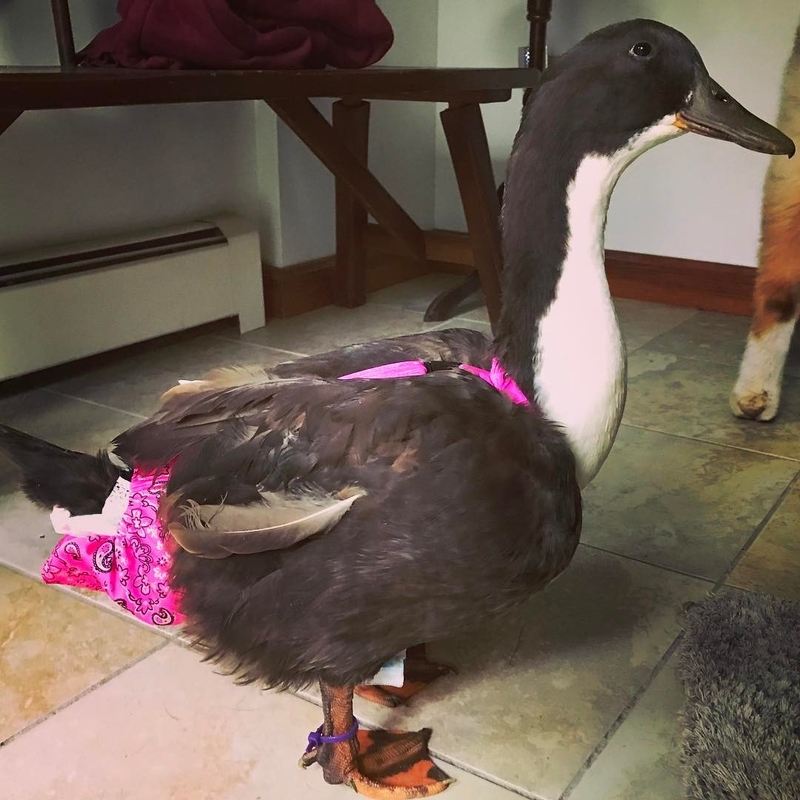 While indoors, Pepperjack wears a duck diaper, which she has no trouble wearing. She seems to like the fashion statements she makes! She is still given plenty of supervised outdoor time, where she can wander ‘diaper free’. At night, Pepperjack sleeps at the foot of the bed, right alongside the dogs. 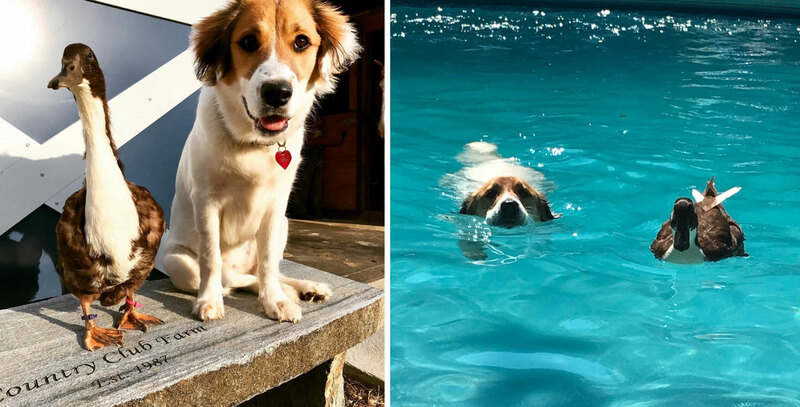 When she’s outside with the family, Pepperjack is sure to hang close to her people and her dog-family. 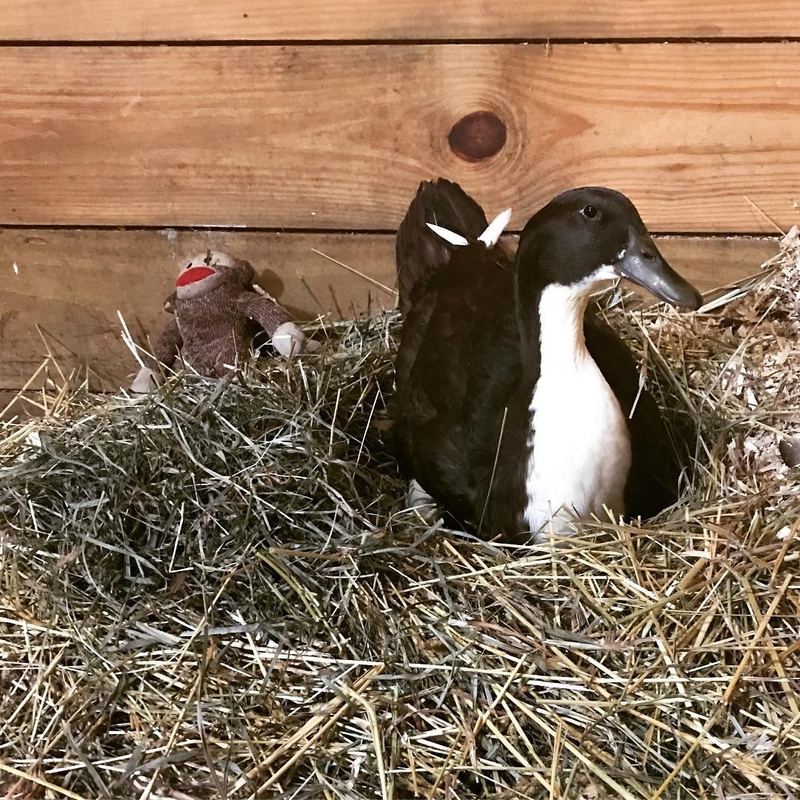 She only ventures off on her own when she needs to lay her eggs---her favorite nesting spot is inside one of the stalls at the barn. 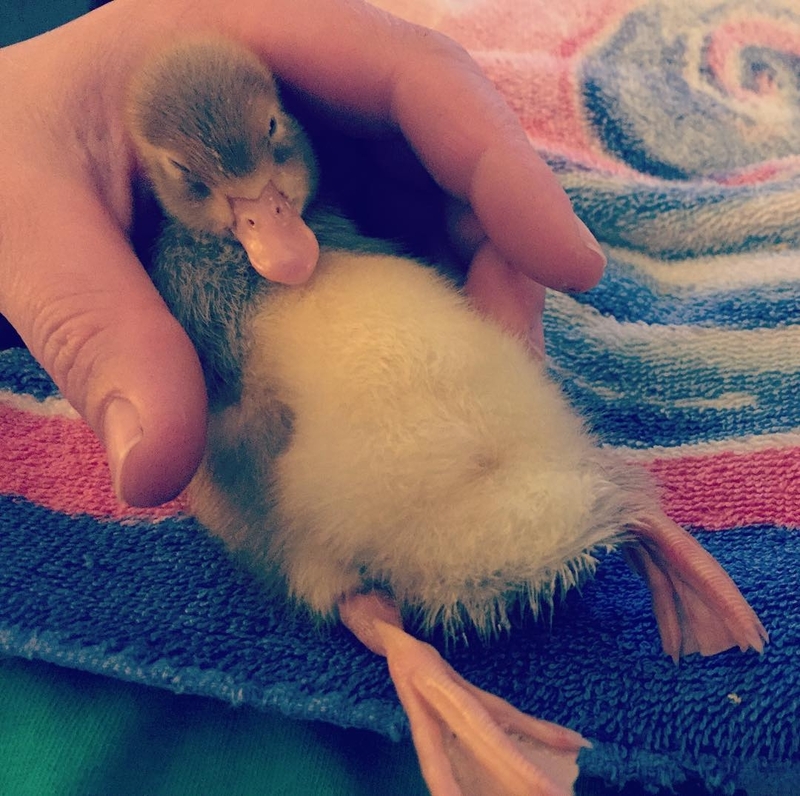 Being a duck, Pepperjack’s eggs are the equivalent of an extra-large/jumbo chicken egg. She always lays her eggs quite consistently, maybe missing a day here or there every couple of weeks. 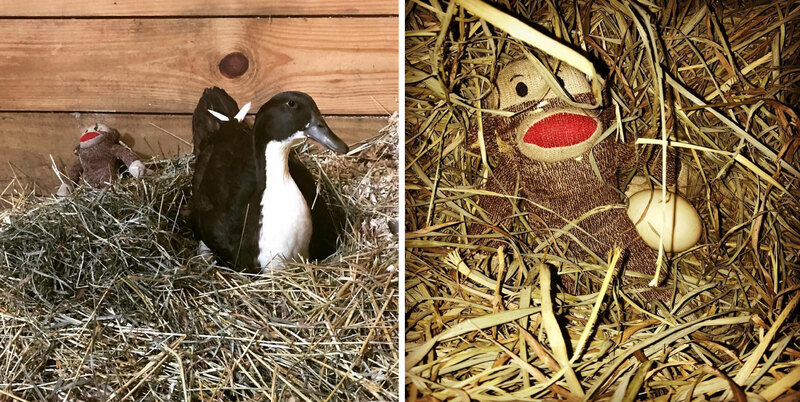 Pepperjack sitting in her favorite nesting spot (left photo) and what her eggs normally looked like (right photo). 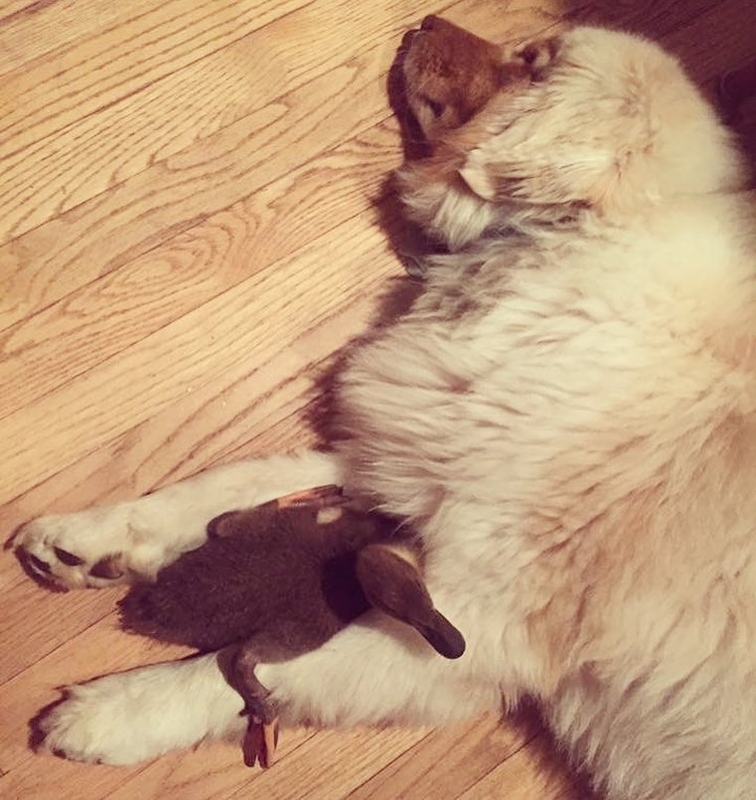 Suddenly one day, Lindsay noticed a significant change in Pepperjack’s behavior---she was acting very lethargic and had no interest in food. As she pondered what might be the cause, Pepperjack started regurgitating. 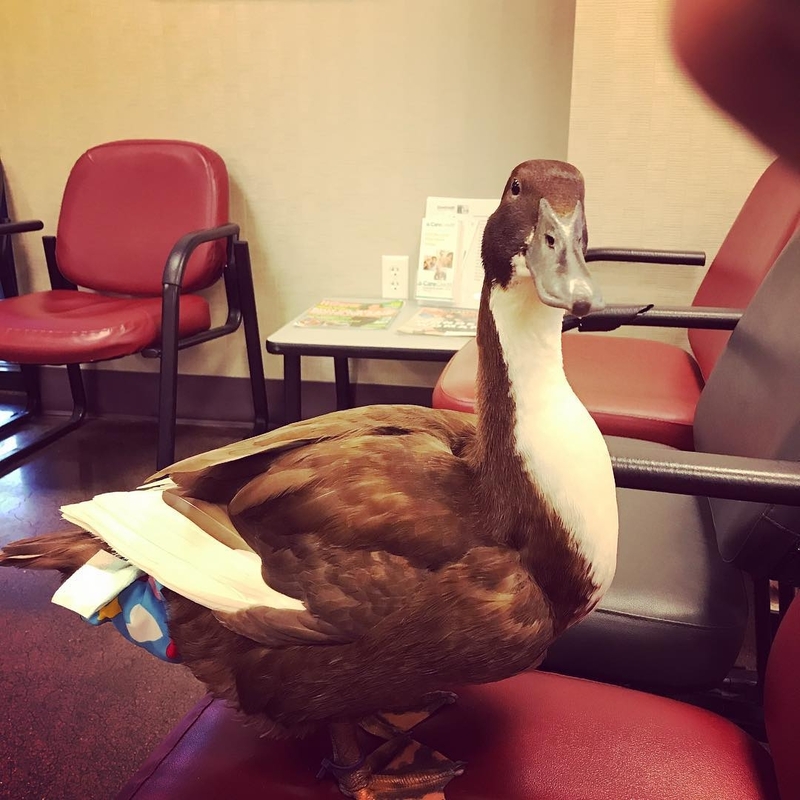 Lindsay became frantic with worry and tried calling around to try to find a veterinarian with experience treating ducks in her area. 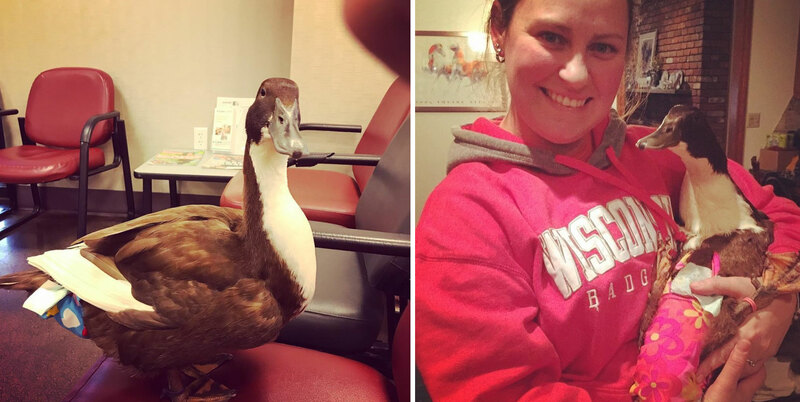 Although she is the practice manager of a small animal veterinary clinic, none of the doctors at her clinic were experienced in treating birds, especially not ducks. 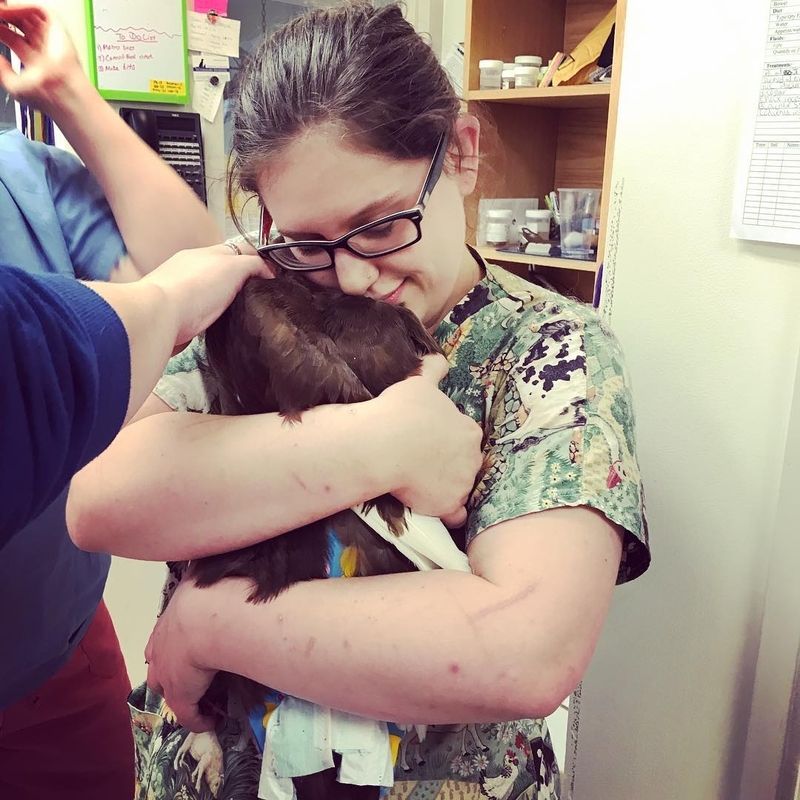 Lindsay turned to the Central Hospital for Veterinary Medicine, which had an Avian and Exotic Animal Department. Dr. Julia Shakeri, the head veterinarian for the department, greeted Lindsay and Pepperjack upon their arrival at the hospital. She asked Lindsay questions about Pepperjack’s history and conducted a physical exam. Although an incidental finding, Dr. Shakeri discovered Pepperjack may have a possible grade 1 heart murmur. 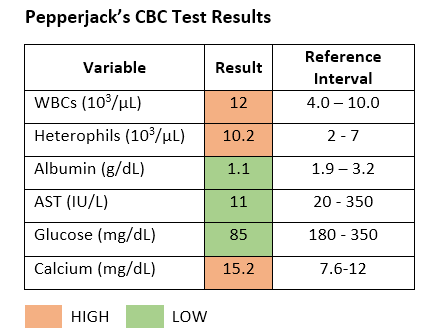 Because it was hard to determine what was causing Pepperjack to act so unusual, Dr. Shakeri took radiographs and blood samples for a complete blood count (CBC) and heavy metal toxicity (lead and zinc). Since the lab tests had to be sent out to a diagnostic laboratory, it would take a couple days for the results to come back. While waiting, Dr. Shakeri recommended to that Lindsay go ahead and start Pepperjack on dimercaptosuccinic acid (DMSA), a type of chelating agent, an antibiotic (sulfamethoxazole and trimethoprim (SMZ/TMP)), and an antifungal (Terbinafine)---as a precaution until they had a better idea what was going on. Two days later the results from the CBC came back. The CBC results revealed slightly elevated white blood cells (WBCs) and heterophils count, which was suggestive of an early infection brewing. Her blood albumin levels were on the low side (1.1 g/dL), resulting in a decreased albumin/globulin (A/G) ratio which were suggestive of systemic inflammation. Dr. Shakeri advised Lindsay to continue with the treatments, as she hoped that the medication would help improve Pepperjack’s health status. They would re-evaluate once the results for the heavy metal test were known. Three days passed, and Pepperjack still showed no signs of improvement. Her appetite was still off, as well as her behavior. 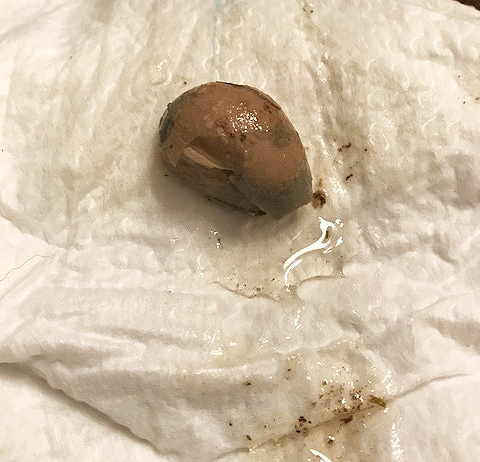 Finally, on the following day, Pepperjack laid a very abnormal egg---a terrible looking, tiny, gray egg about the size of a cherry tomato. Almost immediately after passing the egg, Pepperjack began to demonstrate signs of improvement in her health. 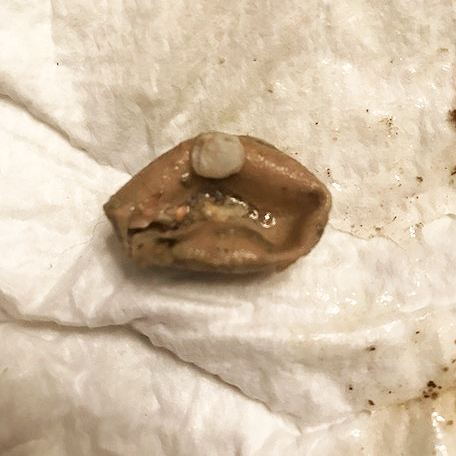 Lindsay consulted with Dr. Shakeri about what happened, who concluded that Pepperjack most likely had developed a reproductive tract infection—associated with the abnormal egg that eventually passed through her system. Pepperjack stopped getting the antifungal medication and DMSA, however to treat the infection, she continued receiving the antibiotics for another two weeks. Pepperjack has since fully recovered from her infection, and has resumed her normal egg laying schedule. However, due to the type of antibiotics she was on (SMZ/TMP), Lindsay will need to throw out any eggs she produces for the next 6 months. 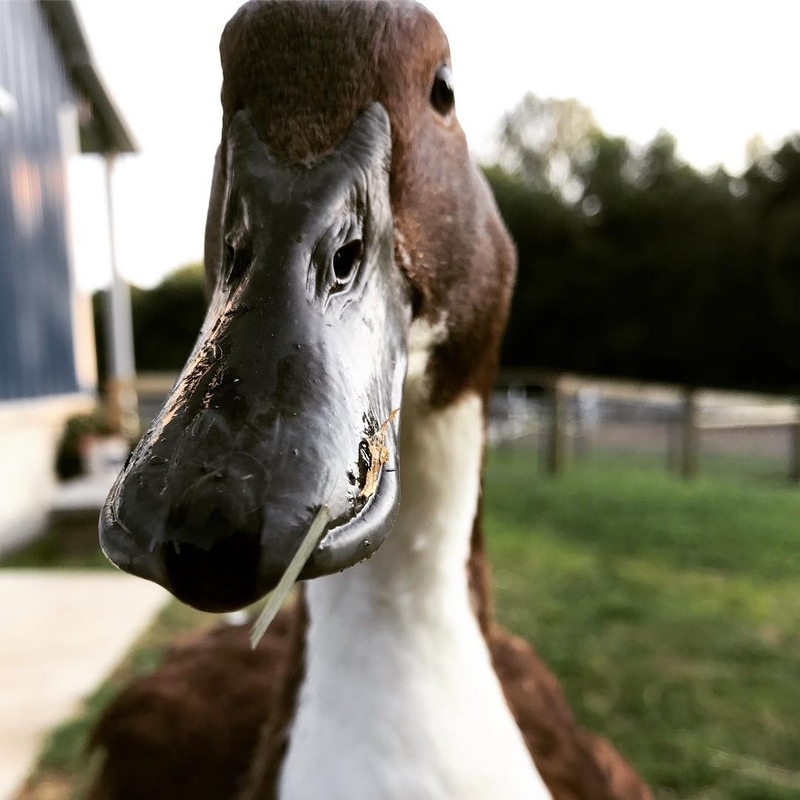 Upon looking back, Lindsay recalled that Pepperjack had stopped laying eggs about 2-3 days prior to onset of her clinical signs. 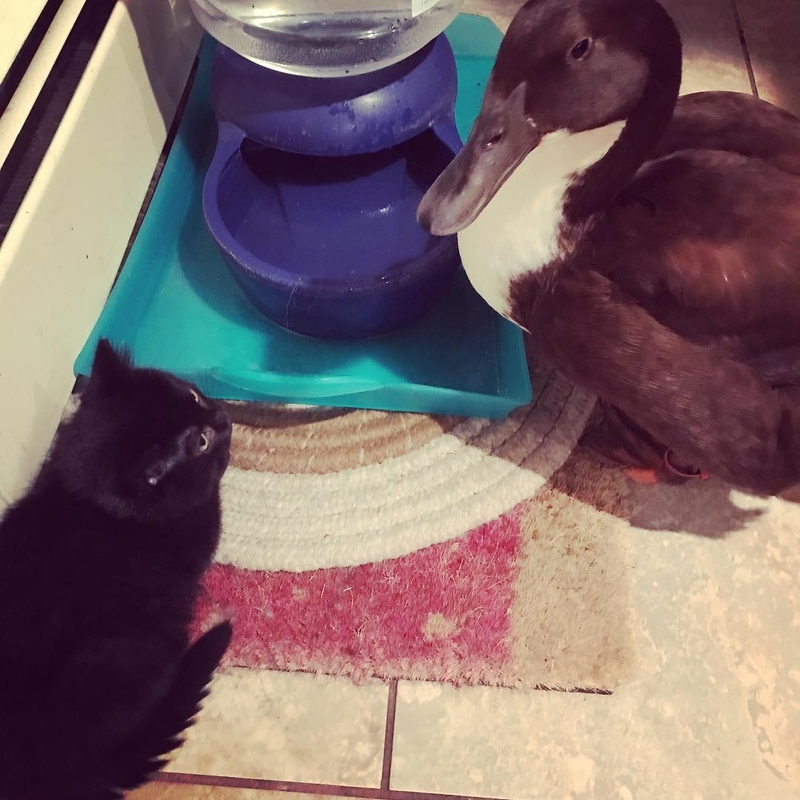 At the time it was something she had not considered to be of importance, however it is now something she will make a greater effort to monitor, in addition to her possible heart murmur, and of course her behavior! Central Hospital for Veterinary Medicine, located in North Haven, CT, is one of the largest veterinary hospitals in the state. 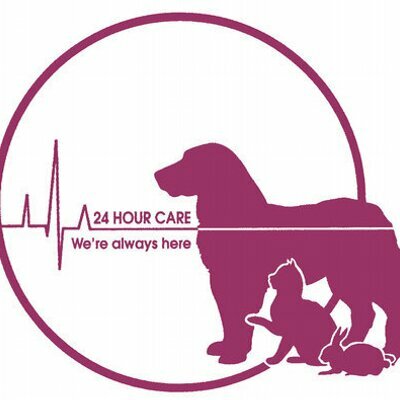 The hospital has over 20 veterinary specialists and experienced technicians dedicated to emergencies and intensive care patients around the clock. 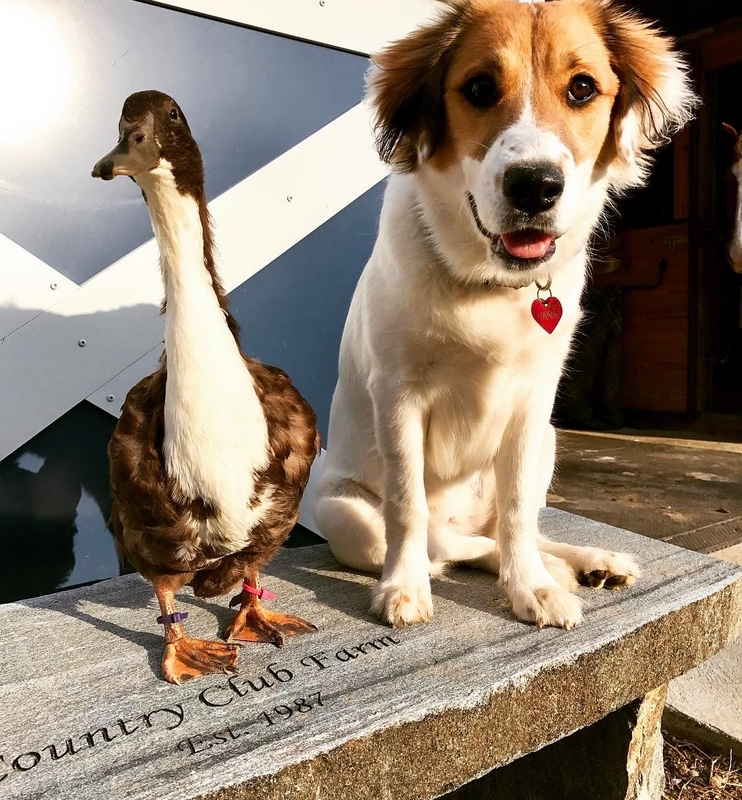 They treat a wide range of animals, including birds, exotic pets, and small companion animals such as sugar gliders, guinea pigs, rabbits and ferrets.